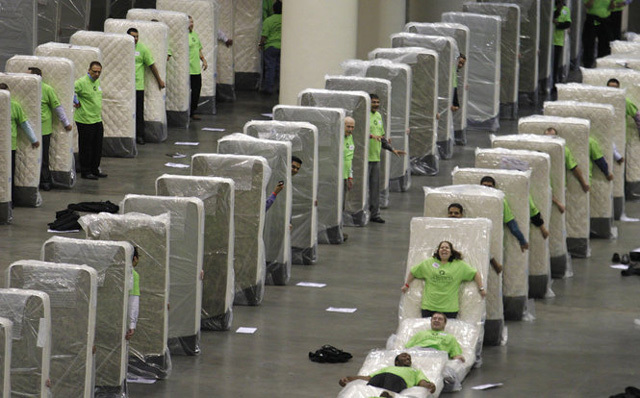 A new Guinness World Record was set at New Orleans Ernest N. Morial Convention Center in New Orleans, Louisiana for the world’s largest human mattress dominoes on February 28, 2012. 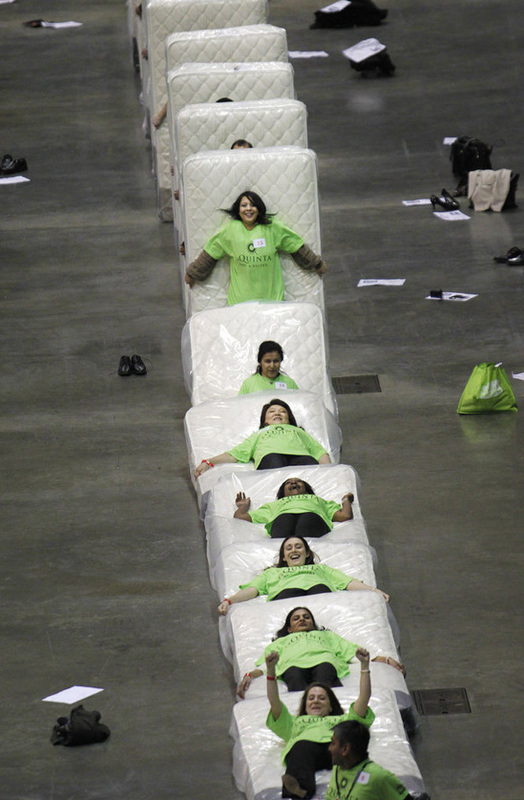 It took just a few minutes for the 850 participants to tumble over backwards on donated mattresses one-by-one like giant dominoes. “Domino Wizard” Robert Speca designed a “special mattress-domino pattern” for the event was sponsored by La Quinta Inns & Suites. 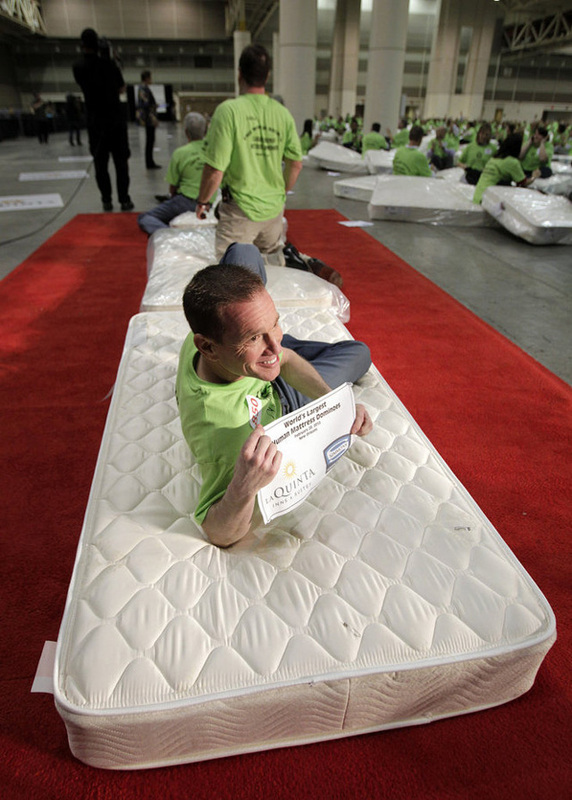 The mattresses, donated by Simmons Bedding Company, will be given to various local charities. The previous record was set in Belgium last year with just 550 people.